The ROH Executive Committee has already announced several big matches and first-time appearances from New Japan and CMLL stars, and now is excited to announce that bitter rivals “The American Nightmare” Cody and Jay Lethal will square off in a Texas Bullrope Match! The challenge was issued by Cody at the recent international TV taping in Pittsburgh. Cody borrowed one of fellow Bullet Club member Hangman Page’s hangman’s ropes and said he was going to attach a cowbell to it -- a cowbell that had been in his family for 40 years and was used by his legendary father, “The American Dream” Dusty Rhodes, and Superstar Billy Graham in their classic Texas Bullrope Match at Madison Square Garden in 1978. Lethal wasted no time accepting the challenge, as he has been champing at the bit to get his hands on Cody in a one-on-one match ever since their first meeting at the Final Battle pay-per-view in December ended in controversy. Cody went hold-for-hold with the former ROH World Champion in what had been an exciting contest between two fantastic athletes. When Cody saw an opening, however, he showed his true colors. The second-generation star kicked Lethal low and then hit Cross Rhodes to score a tainted victory. 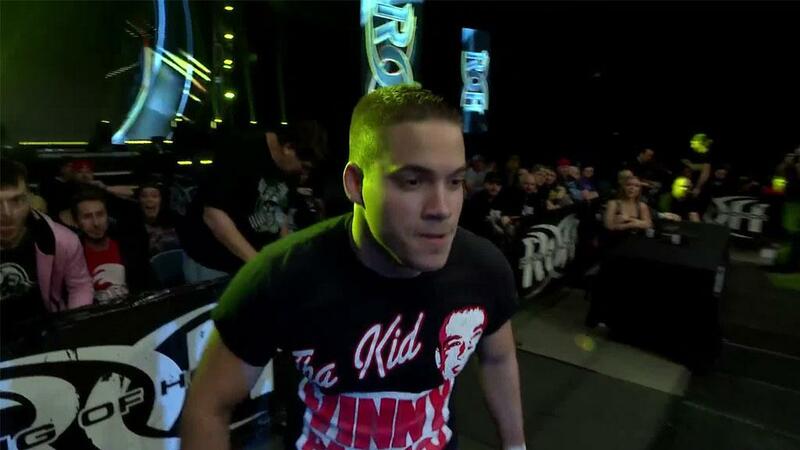 Cody put an exclamation point on his dishonorable debut in ROH by mocking Lethal and the fans after the match. Shortly after Final Battle, Cody joined Bullet Club, a faction Lethal has been battling against since last May when he was among those on the receiving end of a brutal attack by the group. Will Lethal settle the score with Cody at Supercard of Honor by defeating him in his father’s speciality match, or will Cody score another victory over one of ROH’s all-time biggest stars?